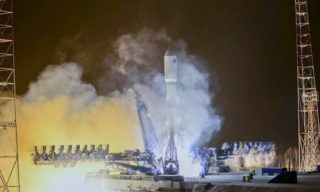 On November 21, at the 17th site of the Baikonur Cosmodrome, in front of the “Cosmonaut” Hotel, a ceremony was held to raise the flags of countries, participating in the “Soyuz MS-11″ international manned launch to the International Space Station. 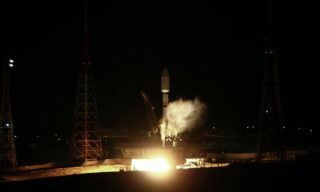 The main and backup crews of the 58 / 59th long expedition to the ISS took part in the event: Oleg Kononenko, David Saint-Jacques, Anne McClain, Alexander Skvortsov, Luca Parmitano and Andrew Morgan raised the flags of Russia,USA,Canada and the Republic of Kazakhstan. 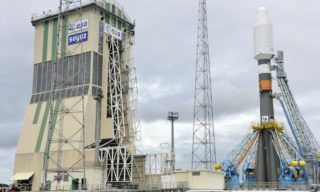 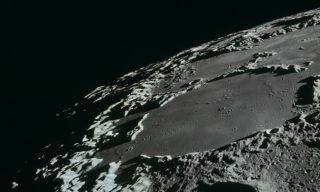 The flag-raising ceremony is a long-standing tradition, that symbolizes the official launch of the final stage of crew preparation for a manned launch. 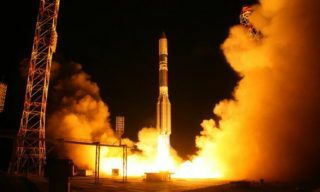 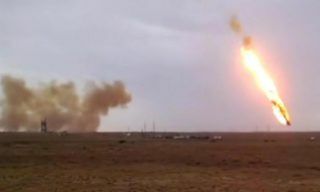 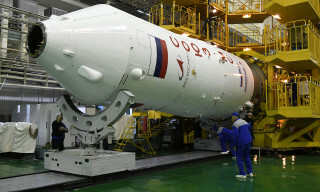 The event was attended by representatives of the State Corporation “Roskosmos”, the administration of the city of Baikonur and specialists from the Gagarin Cosmonaut Training Center, providing pre-launch crew training. 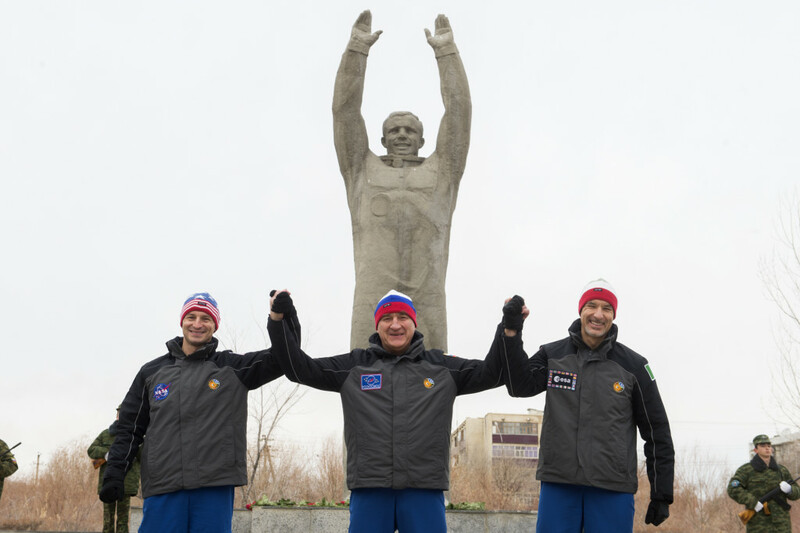 After the flag-raising ceremony, Alexander Skvortsov, Luca Parmitano and Andrew Morgan went on a tour of Baikonur, which is traditional for the backup crew. 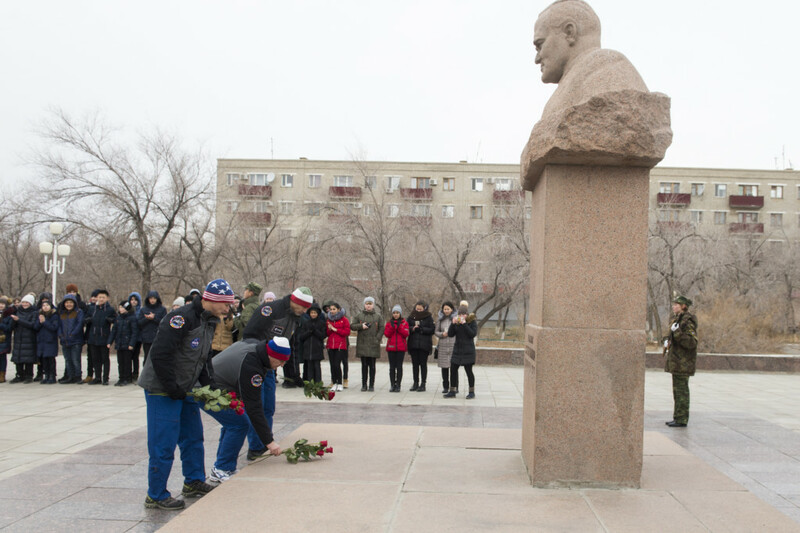 Walking around the city, whose history is inextricably linked with the names of great people, involved in space exploration, the crew laid flowers at the monument to Yuri Gagarin and paid tribute to the legendary designer Sergey Korolev. 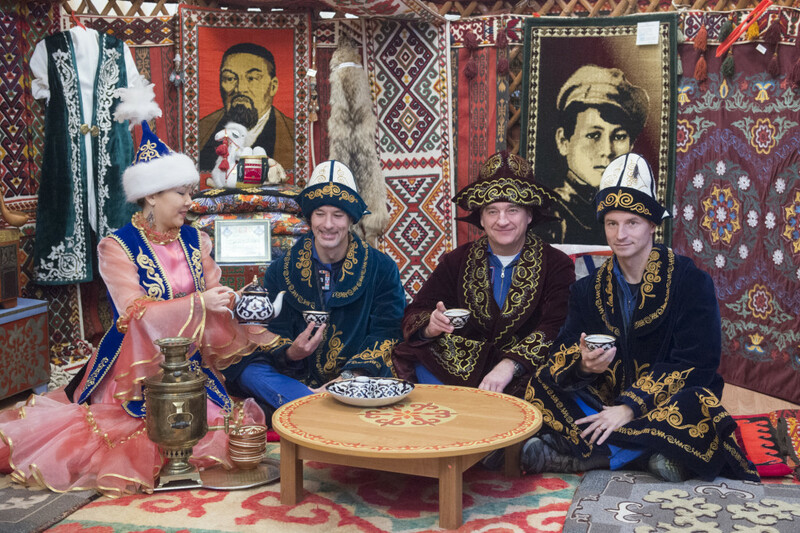 Then Alexander Skvortsov, Luca Parmitano and Andrew Morgan examined the exposition of the Museum of History of the Baikonur Cosmodrome and got acquainted with the traditions of Kazakhstan, dressed in folk costumes. 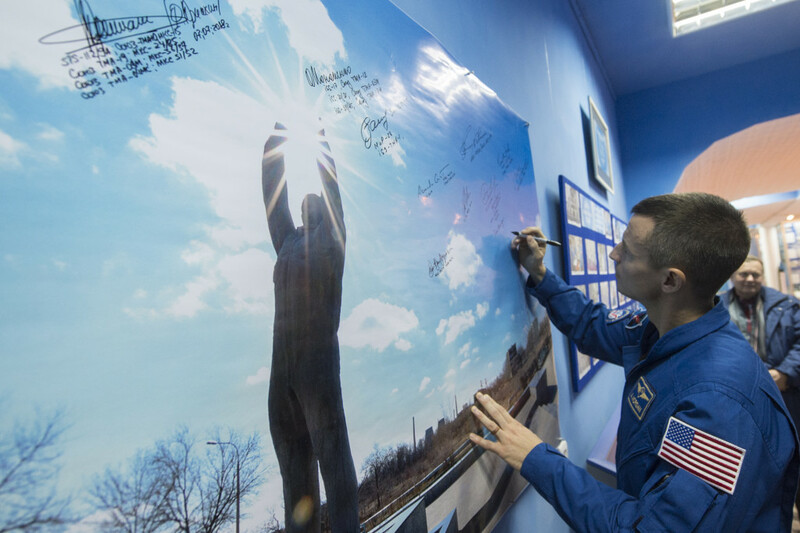 At the end of the tour back up crew members left their autographs and memorable inscriptions in the guest book.